If you’re searching for commercial “sign fabrication” or “sign manufacturers” near me in Phoenix, Arizona Commercial signs can help! Receive a free sign quote for fabrication & manufacturing by giving Arizona Commercial Signs a call today at 480-921-9900. We are a Phoenix Sign Company that specializes in Retail Sign Design, Manufacturing of Storefront Signs, as well as handling the Installation in Phoenix, AZ. 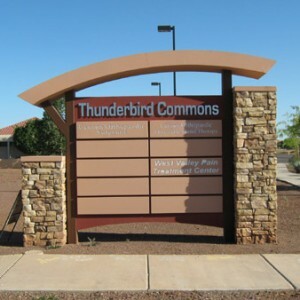 Arizona Commercial Signs is a full-service retail signage company specializing in quality sign fabrication, shopping center driveway signs, storefront and two-way traffic retail street signs. Make your location stand out and grab consumer’s attention with an outstanding storefront sign from Arizona Commercial Signs in Phoenix, AZ! We invite you to review some of our products. 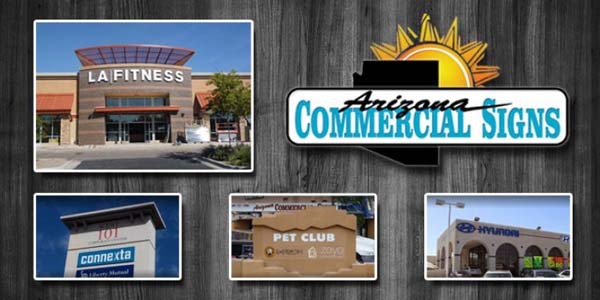 You’ll notice name brands you recognize, like Wal-Mart, LA Fitness, and Michael’s – our work reaches the entire Phoenix valley, including: Scottsdale, Mesa, Chandler, Gilbert, Queen Creek and more. 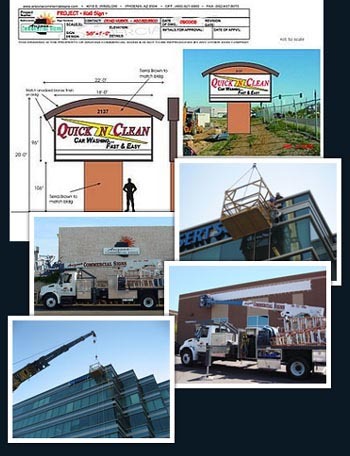 We fabricate distinctive exterior storefront signs for local retail businesses and national chain stores. We build quality into every project so your sign will look great and last. Our innovative staff is dedicated to delivering a total package of services, from initial permit issues to letter and logo design, choosing materials, and all construction through final installation. Recognized for our customer service and on-time delivery, our team of skilled professionals have developed a comprehensive, 360 degree approach. We make it simple and easy to get the signs you need for your business! We use only high-quality materials, ensuring the consistency and overall quality of every sign we make. Whether your project requires sheet metal, aluminum, Plexiglas, acrylic, paint, special illumination effects or neon lighting – we approach each project with enthusiasm and creativity. Our complete in-house facility offers state-of-the-art equipment and craftsmen with years of experience building custom signs. We take pride in our workmanship and all work is covered under our full warranty. 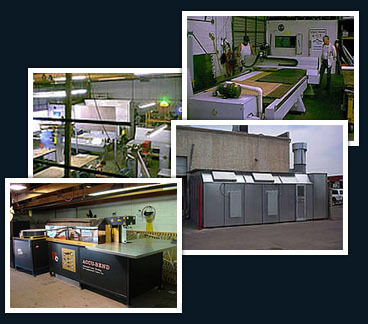 Our modern facility boasts the latest technology in computerized design; large cutting stations, 5′ x 12′ router table, state-of-the-art neon shop and a 20 x 40 spray booth. 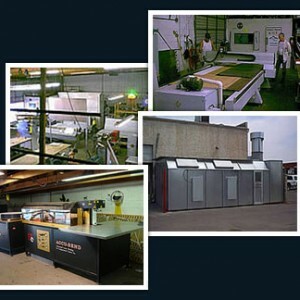 From computerized design and manufacturing to large capacity fabrication, paint and assembly, we have the facilities, experience, tools, and expertise to handle any project on time and on budget. Our customers’ expectations for full service, lasting quality and complete attention to detail are exceeded on every job. 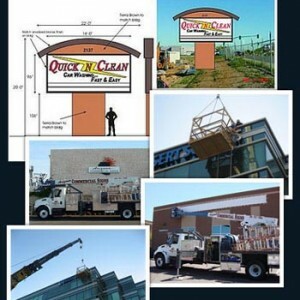 Arizona Commercial Signs offers full service sign design, fabrication, and manufacturing. To get more information about our sign fabrication & manufacturing give Arizona Commercial Signs a call at 480-921-9900. Are you searching for sign fabrication or manufacturing anywhere in the Phoenix Valley Area? If so, Arizona Commercial Signs can help!